This is the fifth post in my series about the LDS ordinance of the sacrament. All the previous posts can be found here. So far, I’ve talked about how the sacrament table serves as an altar for us today here, and the many wonderful symbolisms the white cloth covering the sacrament represents here and here. I’ll be discussing the bread and wine/water in later posts. Here I want to focus on those who represent Jesus in this ordinance – the Priests (or Melchizedek Priesthood holders). It was a couple of years ago now that I was pondering the sacrament and suddenly realised the beautiful irony in its blessing. That the Priests represent Christ is generally well understood. Indeed, in any instance where the Priesthood is being used, the one doing so represents our Saviour. Categories: Articles | Tags: Atonement, Christ, Christian, Foregiveness, Healer, LDS, Mormon, Priests, Religion, Sacrament | Permalink. This is the 4th post in a series about the LDS ordinance of the Sacrament. You can find the list and links to all of the articles in the series here. 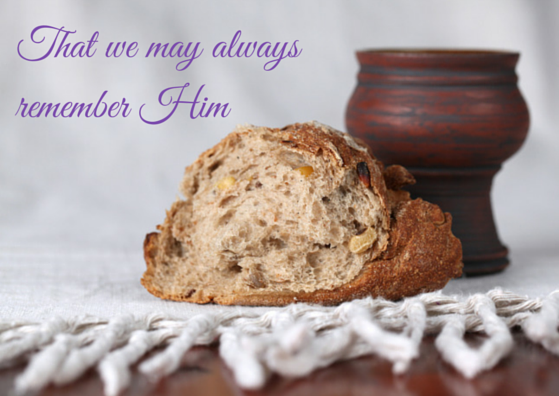 In the last article, I discussed the white cloth used to cover the bread and water sitting atop the sacrament table. Just as the emblems of Christ’s atoning sacrifice remain covered – completely hidden – beneath the cloth until the moment they are blessed and passed to us, so Christ’s mercy and grace is hidden from us until the very moment we need them. Not the moment we think we need His help. Rather, the very moment He knows we need it. I love that symbolism, but there is more to the sacrament cloth than that. On the Sunday morning of Christ’s resurrection, the apostles Peter and John ran to the tomb after hearing Mary’s witness. 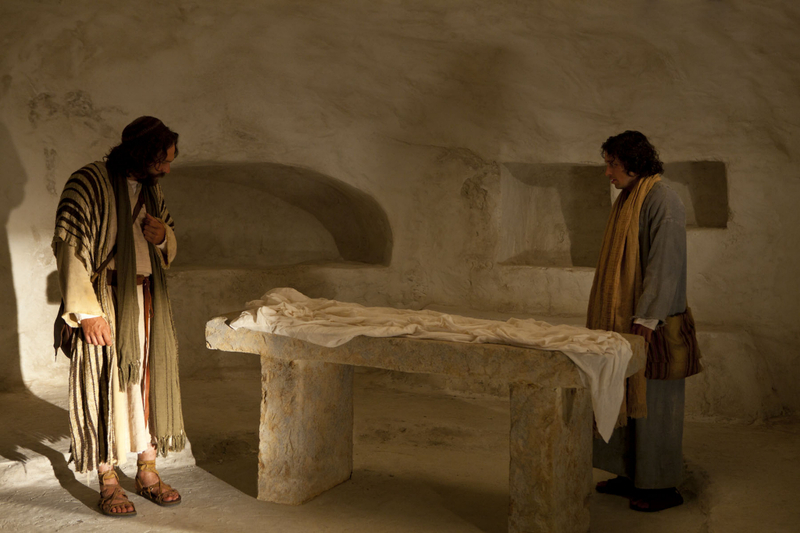 When Peter entered the empty chamber he found the linen clothes used to wrap Jesus’ body, apparently simply left where they were when Jesus rose. 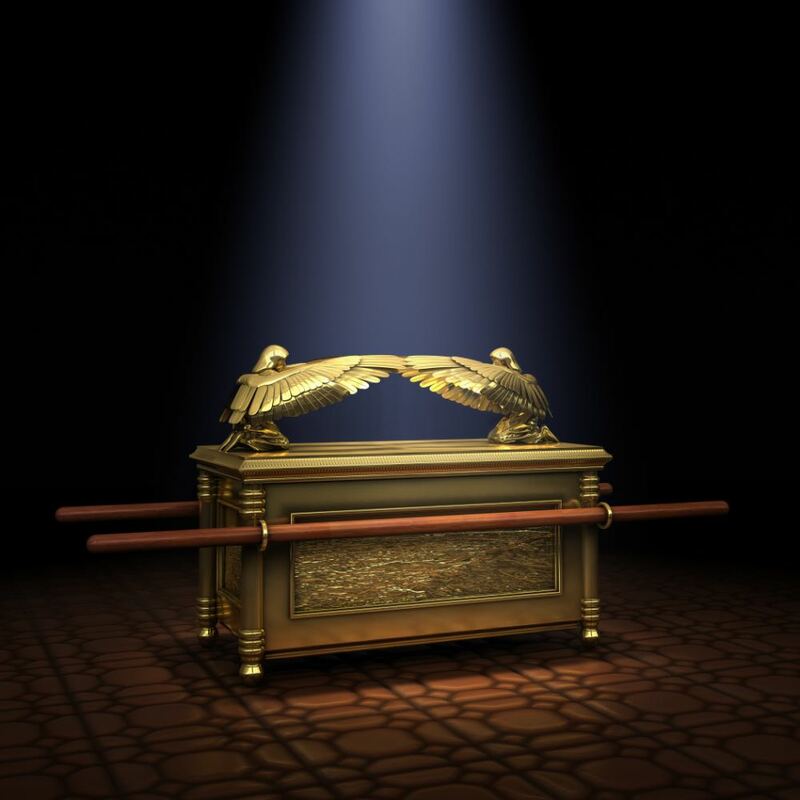 Categories: Articles | Tags: Atonement, Christ, LDS, Mormon, Revelation, Sacrament, Sacrifice | Permalink. 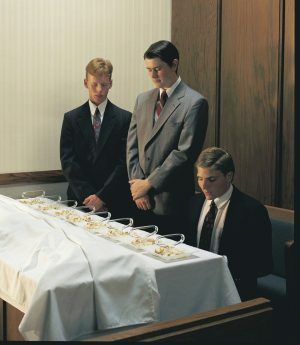 This is a continuation of my series of posts discussing the ordinance of the sacrament within the LDS faith. The first post, Remembering Him, is here. In my last post, Our Modern Altars, I talked about the table upon which the bread and water of the sacrament is placed. A table which serves as a modern altar for us. Today I’m going to discuss the cloth covering the same bread and water. I started preparing this post thinking that one would be enough to talk about the significance and symbolism of the sacrament cloth, but it has developed so much I’ll need to take two. So this is part 1. Indeed, there is so much to ponder when considering the sacrament cloth it’s difficult to know where to start. So perhaps it’s best to start with the Church handbook. Categories: Articles | Tags: Faith, Healer, LDS, Mormon, Sacrament, Sacrifice, Sorrow, Strength, Suffering | Permalink. © Copyright Intellectual Reserve, Inc. I was very blessed to have been born into a Christian family. My parents never wavered in their testimonies or Church attendance, and I grew up learning from them the importance of it. I’m not sure at what point I began to understand the difference between the Church and the gospel – the earthly (though divinely mandate and approved) organisation through which gospel ordinances are performed in our day, versus the eternal principles by which our future happiness is governed. At some point I did, though. And at about the same time, I also began to notice other principles we often conflate within the Church. Believing versus faith. Doing versus becoming. Reading – or even studying – versus feasting. Whichever set of words you look at, they’re both necessary: essential even. But our ultimate aim is always the second. We strengthen our belief until it grows into faith. We study the scriptures until we come to a point where we love them: our soul “hungers”, as Enos put it, and we desire to feast (see Enos 1:4). We do the things the Lord commands until we become a people who would naturally choose those things anyway – even without commandments, and without thinking about it. Categories: Articles | Tags: Atonement, Christ, Christian, Church, Depression, Disability, Faith, LDS, Service | Permalink. On His final mortal night with His specially chosen disciples, Jesus shared a Passover meal; introducing a new rite with bread and wine. The event itself has become known as the Last Supper. The new ordinance Christ introduced that night continues in most Christian churches today, and is usually called Communion, or the Eucharist. Within the LDS tradition, it is called the Sacrament. A few months ago I posted a short poem about the Sacrament, but I’d like to spend a little more time sharing more of my thoughts and feelings on this beautiful ordinance, looking more broadly at the ordinance’s introduction before specifically looking at some of the symbolism used. I will specifically be looking at the LDS ‘version’ of the Sacrament, but I think many of the principles could have application in other faiths, too. If you’re not LDS and have questions about any differences, please feel free to send me a message or add a comment and I’ll be happy to reply. Categories: Articles | Tags: Atonement, Christ, Christian, LDS, Mormon, Religion, Sacrament | Permalink. Over the years, I’ve learned loads of things at Church. 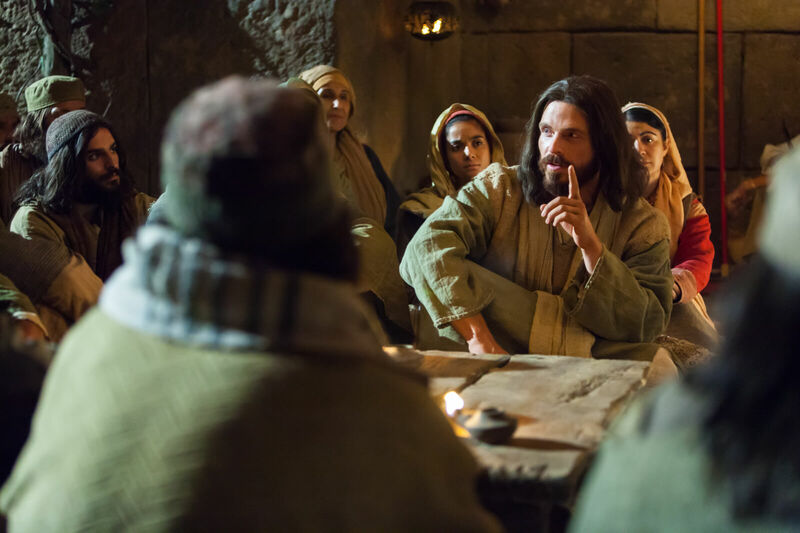 In my adult years, though – like many life-long members of the LDS Church I’m sure – very little has come from the actual words spoken in meetings and lessons. Because those who speak to, or teach us, in Church have to cater for a wide range of gospel understanding, our lessons and sermons tend to be fairly basic in content; with lessons getting recycled every four years. I still enjoy them, though, for a couple of reasons. First, on odd occasions I’m able to make a contribution to a topic which I hope others find helpful (certainly others make contributions which I find helpful). Second – and relevant for this post – the things I learn are most often from words that are not audible. They are from the words and feelings that come directly into my mind. Categories: Articles | Tags: Christ, Christian, Faith, LDS, Mormon, Pray, Prayer, Religion | Permalink. This post is a little more rambling than usual, so I apologise for that. Hopefully I’ll still be able to make the point I want to. I often think that when we get to the next life and see things as they really are; when the scales of our mortal blindness fall from our eyes, that we will be surprised with both how much simpler things were than we thought, as well as how much more complex. If that sounds contradictory, let me explain. 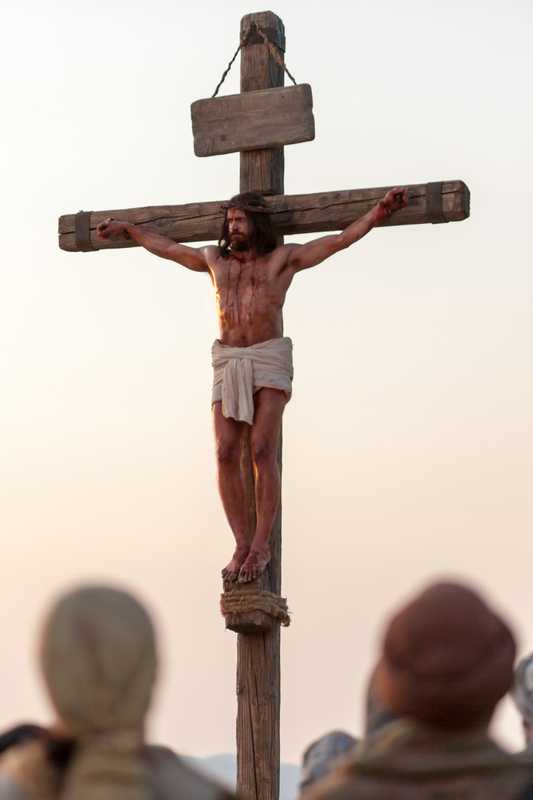 Categories: Articles | Tags: Atonement, Christ, Christian, Depression, Faith, LDS, Mormon, Religion, Sacrament | Permalink. Thankfully the days of Teletubbies are long behind us. There was a time when I would wonder whether Tinky Winky or Po was my favourite; when I would hum the theme tune. Somehow, that sort of insanity is the only way to remain sane through those years (although some would argue I didn’t stay sane – if I ever was to start with…). Many of the escapades of the four coloured friends are now (thankfully) long forgotten; buried deep within whatever part of my brain that seeks to hide such things. But there is one that I have always remembered. It is where Little Bo Beep comes along, singing with a high-pitched male falsetto searching for her lost charges. 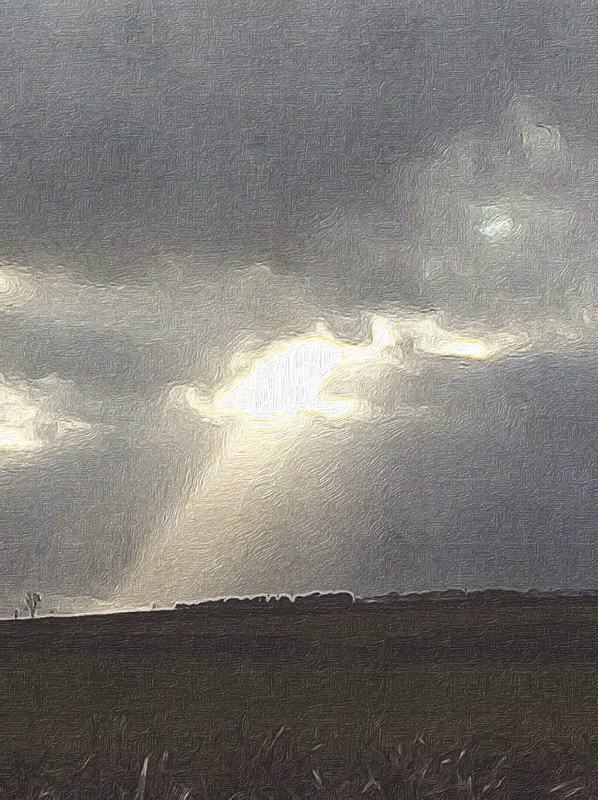 Then materialising from clouds are her wandering flock, singing in their deep bass tones, “We are the sheep”. 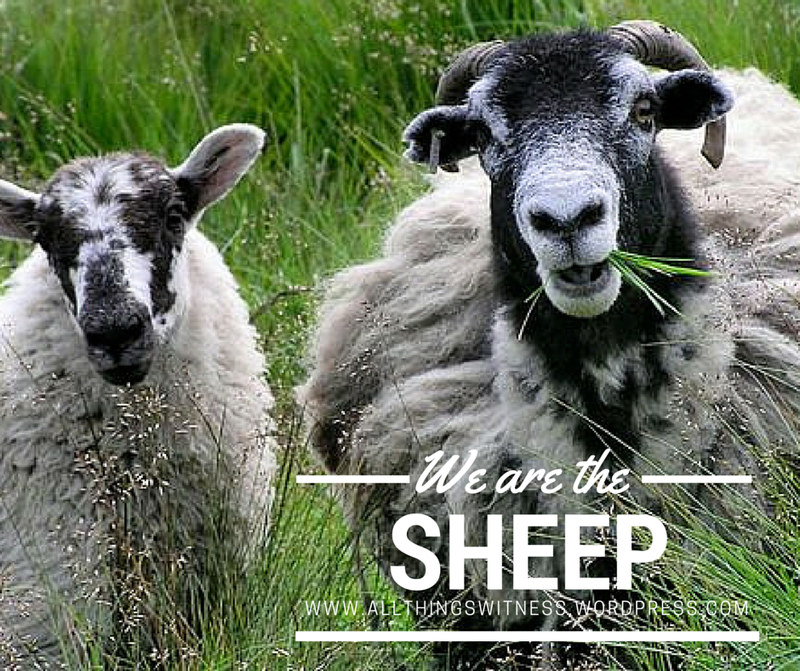 Categories: Articles | Tags: Christ, Christian, Faith, LDS, Lost Sheep, Mormon, Sheep, Shepherd | Permalink. After an unusually warm July, August was cooler than usual this year, and as we have begun September, already the morning fog has begun. It’s usually not until October that the daily fog arrives, but it’s been with us for a week or so now. 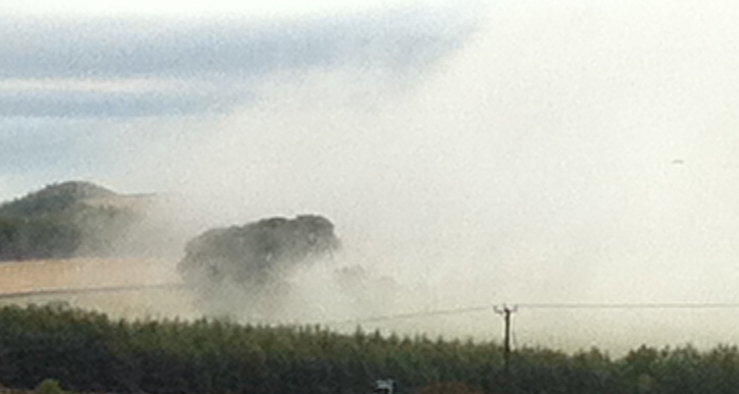 As I was driving to work early last week, I crested a hill on a nearby country road and saw in the distance a large bank of fog. Its appearance was that of a sinister wall of confusion attempting to blanket the countryside – and at the very edge of the fog was a solitary tree, rising through the mist, seemingly resisting its advance. There were other trees on the hillside – but just the one was large enough to rise above the encroaching obscurity. Categories: Articles | Tags: Christ, Christian, Faith, LDS, Mists, Mormon, Religion, Tree of Life | Permalink.